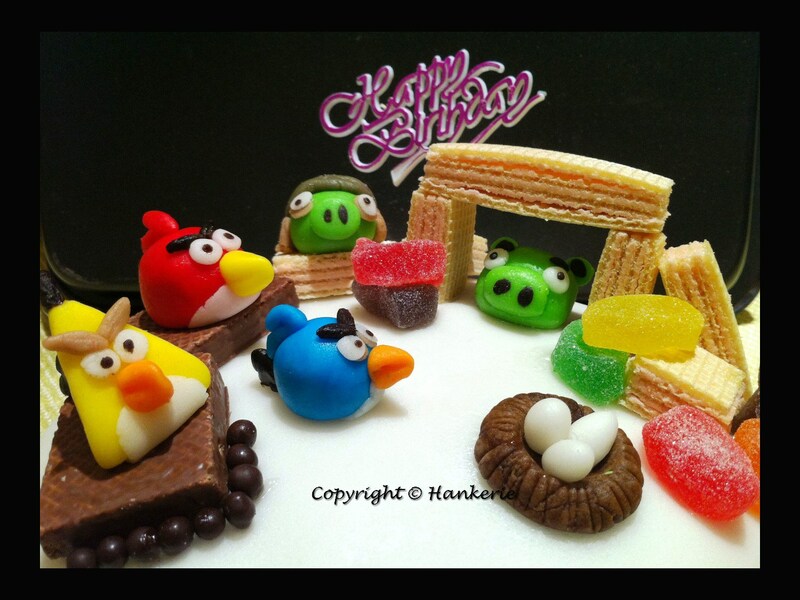 After 3 months of Hankerie's establishment, this is my first ever BIG birthday cake order as well as my another Angry Birds masterpiece.This is indeed a meaningful work as I'm making this with whole heartily which dedicated to one of my fan here - Yvonne. She is indeed a wonderful mum to give this as special birthday gift for her lovely 3 years old daughter - Sophie Maya. This customized designer cake is specially baked for her. I really admire her daughter so much, totally feel lucky for her as her mum really doted her very much. Back to my old time, the best birthday cake that I have only the normal ice cream cake. 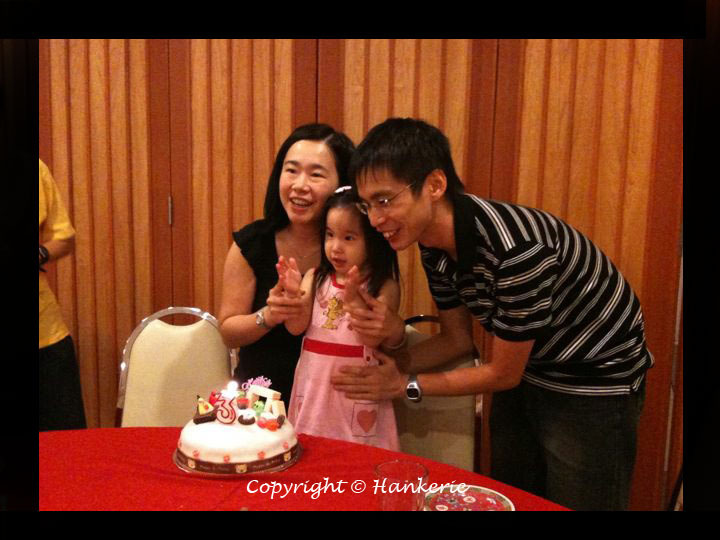 Anyway, times changed, it's always lucky to celebrate your own birthday with family, be it with or without cake. 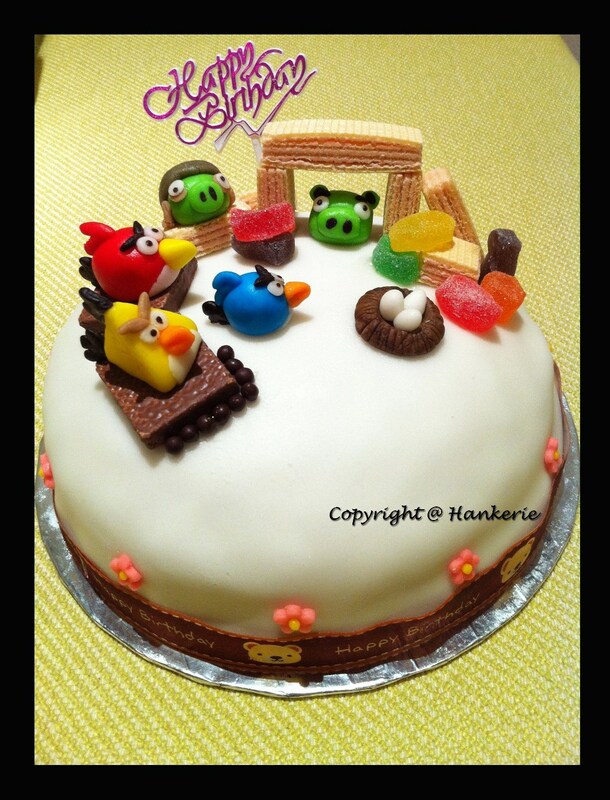 This 9-inchi chocolate moist cake with Angry Birds Fondant icing used up my 2 days to fully complete it. Well, it is not consumed 2 full days, the reason is I need to do few hours after work each day to make it until perfect. Glad that Rachel, all the way from Brunei did the great help to do some figures on the night before. Both of us still baked until 1.30am that night. Now, I realized that I no longer do baking alone, such a nice moment to bake together with your close friends seriously. "Happy birthday to you, happy birthday to you, happy birthday to Sophie, happy birthday to you...."
My special designed Angry Birds Birthday cake which I would love to simulate the games. Not enough? 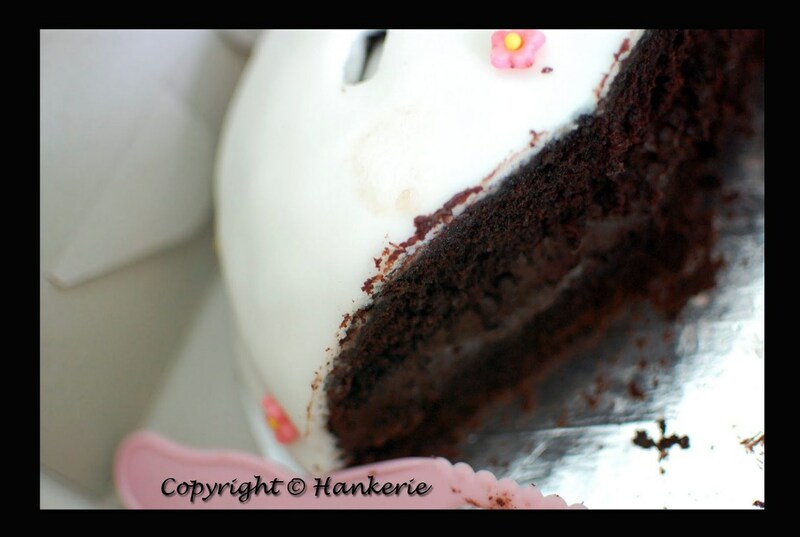 You may refer to this lovely's mum website, which blog about her daughter's birthday (Sophie Maya: 3rd Birthday) too! wow congrats on your order, the cake looks very nice! @Janine: Thanks dear. Everything has the first time. More to come. Such a beautiful cake! Seriously, kids today are so much luckier than us. Congrats on your 1st order Han ker. That's a pretty and cute cake. Good Job! @Waileng: Agree. I guess your daughter is lucky too. @Ann: Thanks, dear. It's an extremely tough job but I really enjoyed it. I baked 2 big cakes in the row. It is really nice as the first try... keep it up!! !